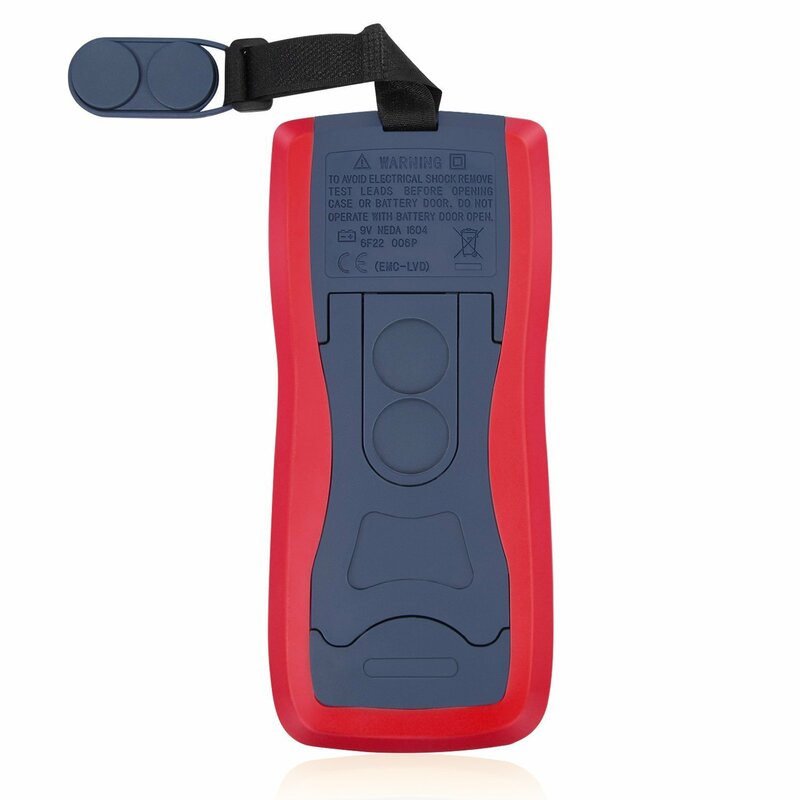 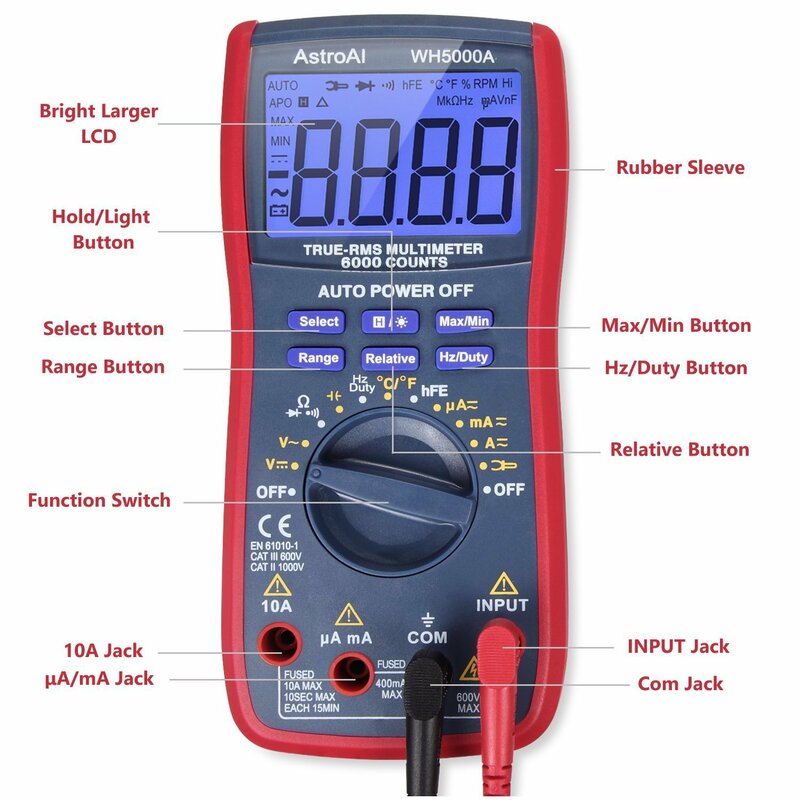 Built-in F400mA/600V and F10A/600V explosion-proof ceramic fuse tubes; Double Protection, more secure and reliable; The fuses can protect the multimeter effectively; Overload protection on all ranges. 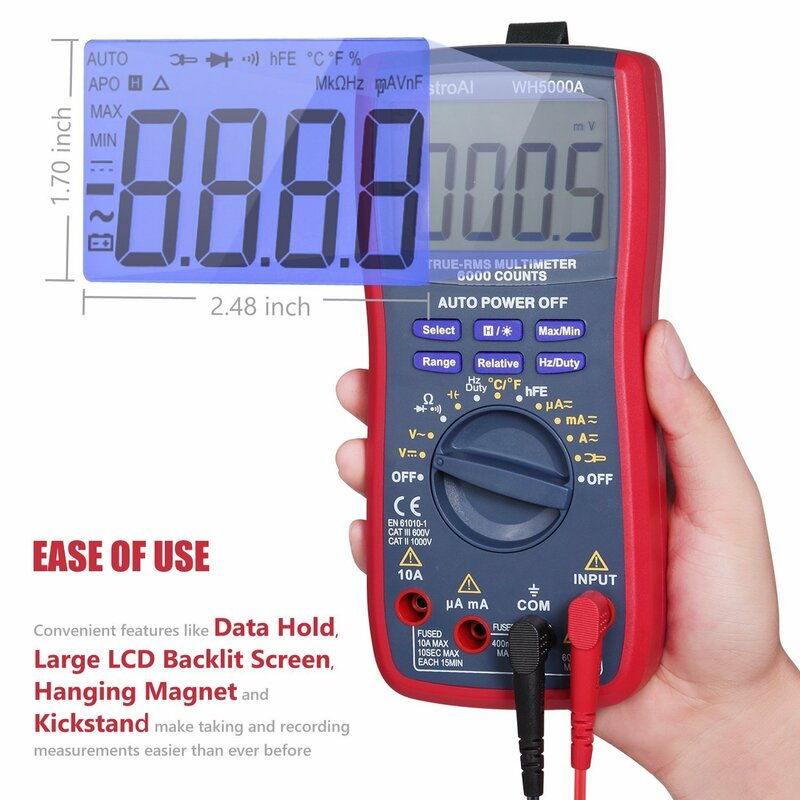 Large digital display with backlit LCD for visibility in dimly light areas; It is often easier to use the data hold function to freeze the data being displayed on the digital display. 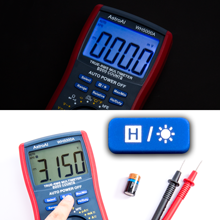 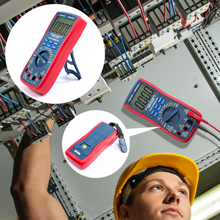 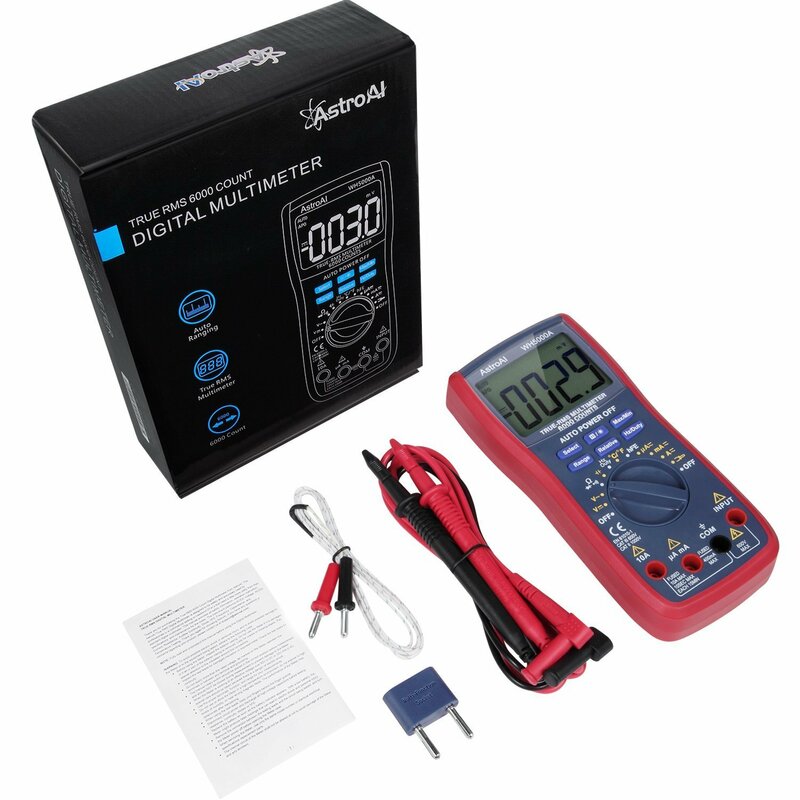 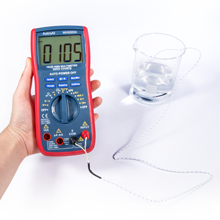 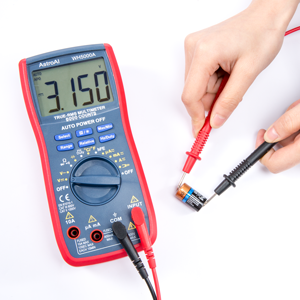 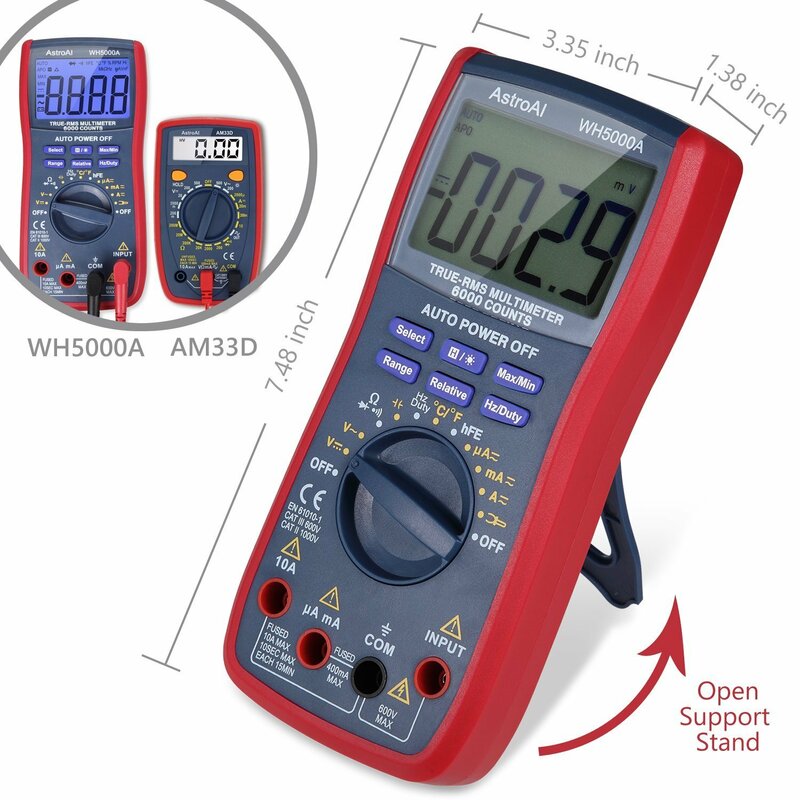 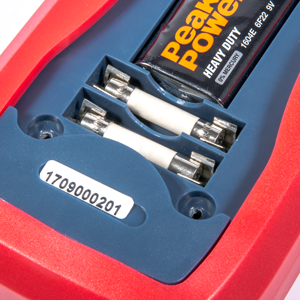 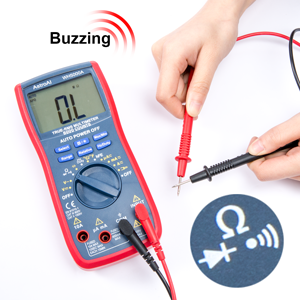 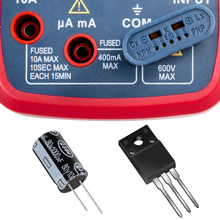 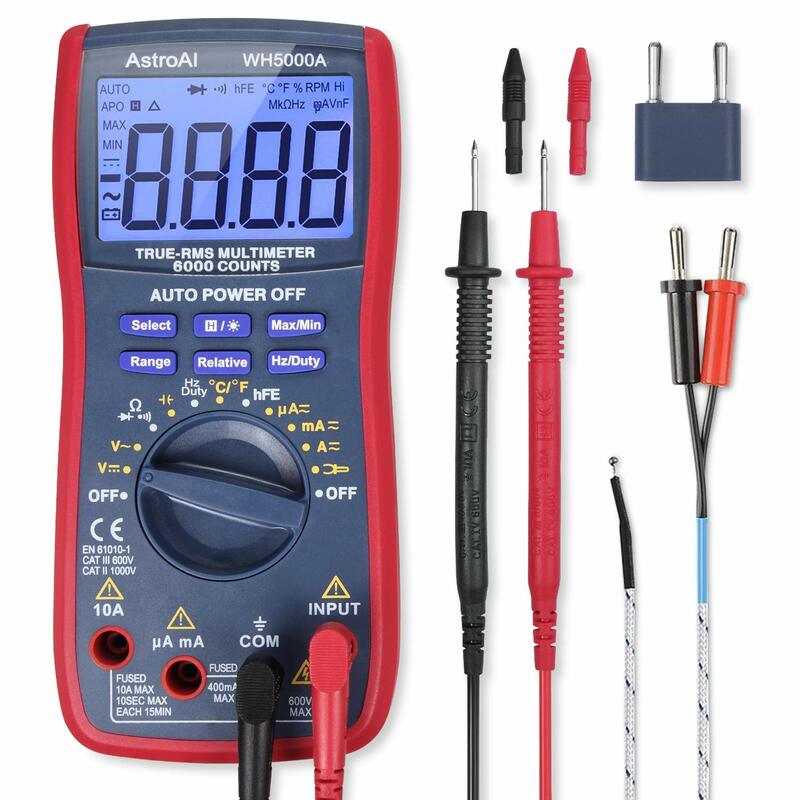 Use the multi-function socket to measure both Capacitors and Transistors. 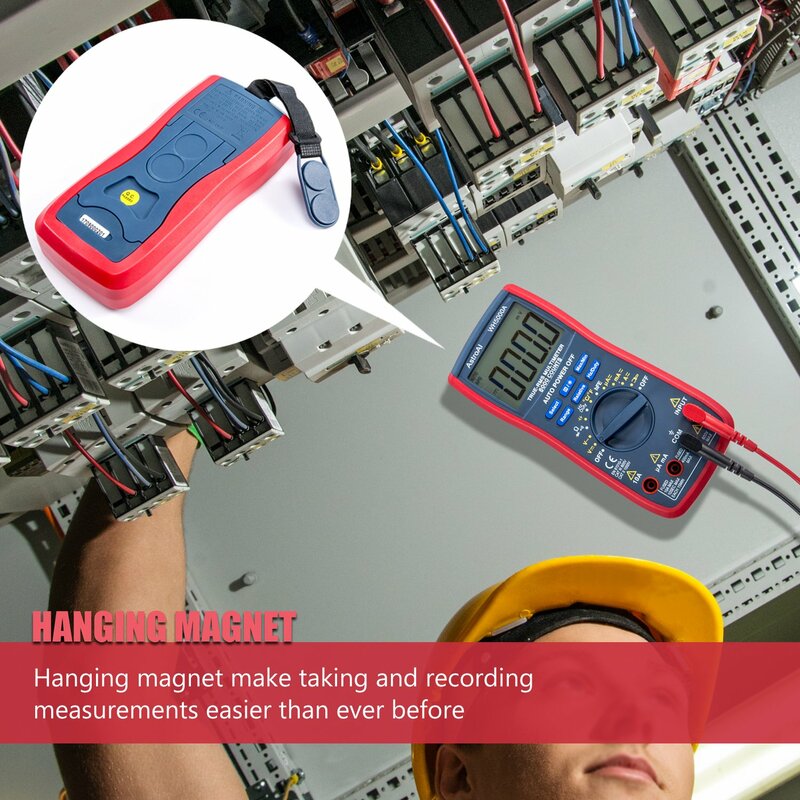 Hanging magnet and kickstand make taking and recording measurements easier than ever before. 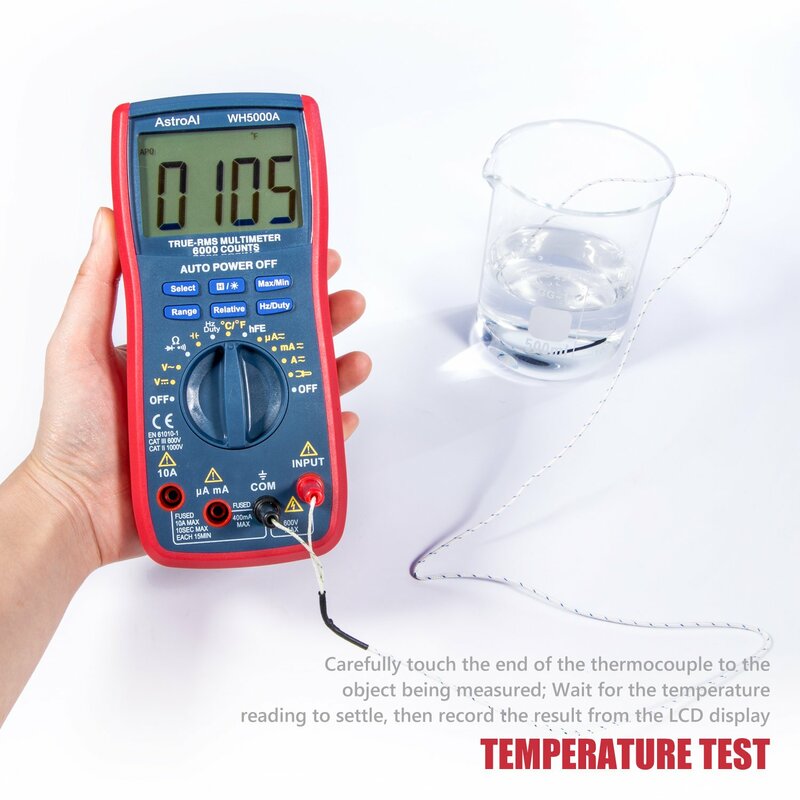 Carefully touch the end of the thermocouple to the object being measured; Wait for the temperature reading to settle, then record the result from the LCD display.